Introducing Katie Loxton's brand new handwritten sentiment pouches. Finished in navy blues for winter. They are the perfect accessory this winter or a perfect personalised present. Introducing Katie Loxton's brand new handwritten sentiment pouches. 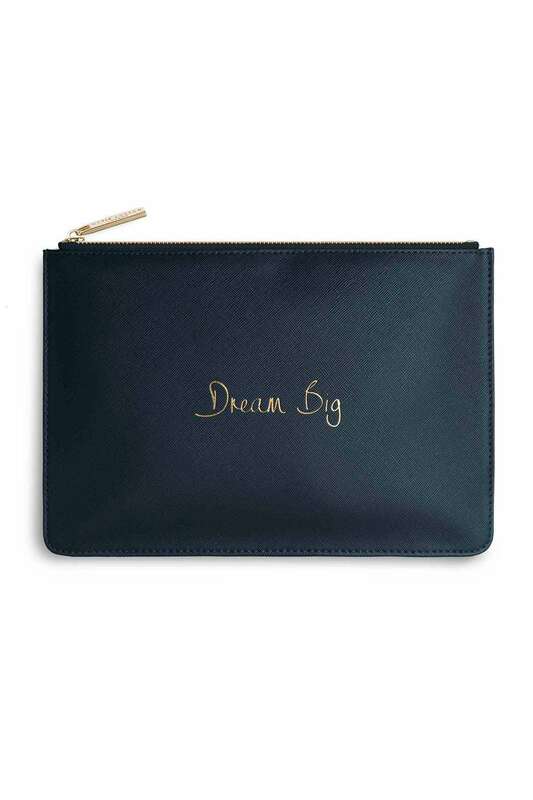 The dark, denim blue coloured clutch has the inspirational sentiment 'Dream Big' pressed on the front in gold and a saffiano finish; there is a gold branded zip pull and fastening and a simple grey lining inside.